I just wanted to give a shoutout to Walter Mossberg today. 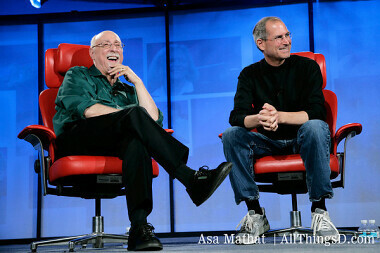 Mossberg has been writing digital reviews for 22 years for the Wall Street Journal, and his own outfit, AllthingsD. Today Walt wrote his final column, fittingly titled “Top Products in Two Decades of Product Reviews“, which is definitely worth a read. Walt has been an inspiration and a mentor to me. His columns were where I first learned of many fine products, and his columns inspired me to get into journalism. In fact, rather ironically, we interviewed him on this exact date, December 18th, of last year. On behalf of myself, and the millions of readers, technical and nontechnical, who you’ve helped over the years,I’d like to thank you for curating tech, saving readers time, effort, and money, and approaching everything with your unique flair. I wish you luck in whatever your ultra-secret new tech site is. I’m excited to read it! As a final tribute, I’ve reproduced our interview below, for anyone who’d like to see just what Walt had to say exactly one year ago. Q: You started your career with politics and foreign affairs, and you wrote about that for a while. What ignited your passion for technology, and how did you come to the decision to switch to writing about technology? A: I was a computer hobbyist and realized that it was all too complicated and that most columns on the topic were written in geek speak, even though the digital world was about to explode to include many millions more non-techies. So I decided there would be value in writing a plain-English column that championed these folks, and explained and reviewed digital products in plain English, from their point of view. Q: When did you start writing? When did you realize it was what you wanted to do for a living? A: I started doing journalism in high school, and decided it was the career for me by the 12th grade. Q: How has the web most affected journalism? What role will newspapers like the Journal play in the future of news delivery? A: The Web has added many more fine voices and choices to journalism, and also, sadly, many more that are biased, uninformed and unethical. But, on balance, while it’s been a real challenge for the economics of good journalism, it has been a very good thing. People are beginning to realize that, just as in the print or broadcast world, they have to learn who to trust and that quality and standards count. That’s why the Journal and other quality news organizations, in digital form, have a bright future, even if their print versions decline. Q: What is the first computer you ever used? 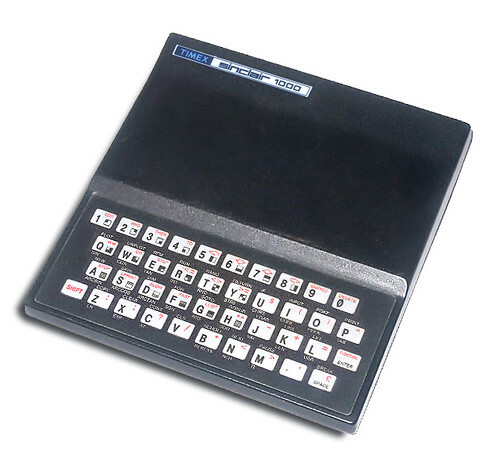 A: A Timex Sinclair 1000. It had 2KB of RAM and I bought for, I believe, $99. Q: What does your home and work setup look like? What gadgets do you use the most in your daily life? A: My home and work offices are cluttered with many devices. I use both Windows and Mac daily, and own multiple machines on both platforms. I also own and use an iPhone, iPad, Android phone and tablet, and a Microsoft Surface. Q: You’re known for calling it like it is, and being honest on everything no matter what the circumstance. If Meg Whitman or Thorsten Heins asked you right now, “How can I turn around HP, or Research in Motion?” what would you say to them? A: Well, I don’t give advice to businesses. But, in general, I believe that, in any company or profession or product, you need to focus sharply on your audience, not every audience; it’s better to offer a few great products or services, than many mediocre ones; and you need to find a way to keep up with new technologies and trends and yet keep things as simple as possible, always clinging to your standards. Q: iOS and Android have taken a huge lead in the mobile sector. Microsoft is trying to get a piece of that with Windows Phone 8, and Rim is trying to come back with BB10? Is there room for a third or fourth major mobile operating system? Which of the four do you think has the most potential? A: I don’t try and predict the future or the marketplace. I evaluate products and platforms based on testing. But I believe that there’s always room for compelling platforms and products. I don’t write off companies’ chances in advance. Q: What does the technology world look like in 2020? Do you think current companies like Apple and Google Will Still be on top? What devices will every American Household have? What role do you think 3D printing will play in future households? A: I have no idea. Tech moves so fast that 2020 is too far out to predict. I wouldn’t have predicted the success of the iPad or the Kindle years before they appeared. Q: Finally, Do you have any tips for people who want to make their writing as captivating as yours? A: Be honest. Be clear. Know who your reader is and never condescend to him or her.